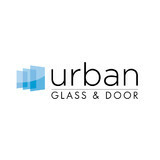 Urban Glass and Door is Windsor/Essex’s one-stop solution for repairs, restorations and new installation projects. Our in-house design service and experienced professionals set us apart from the typical glass shops in the region. And, with our new 911 Windows division, our emergency repair technicians can be dispatched in as little as one hour to assist. Speaking of technicians, ours have years of experience in all types of glass and door repair and replacement and new installations including shower partitions, glass railings, skylights and mirrors. Our complimentary design service allows you to know exactly what parts are required for your project and show you how it will look before it has even begun! Do you have foggy dual-pane windows? Our proven restoration process fixes this problem at a fraction of the cost. When window restoration isn't the best option, we also offer the highest quality, name brand replacement window products at great prices. Contact us today for a free quote! Nobody likes it when window glass breaks. No need to worry, we can help fast. Broken window glass repair involves replacement of the glass panes. We can get any type of glass your window requires and if you had specialty coatings for energy efficiency such as e-coat glass, we can replace that too. If your want tinted glass, no problem at all. We can replace any glass to bring your windows back to factory specifications. 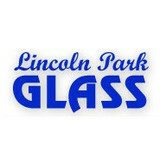 Port Huron Glass formerly known as River District Glass has been locally owned and operated for over 40 years. We've been servicing Port Huron and its surrounding cities in St. Clair County for all of their glass needs, both commercial and residential. 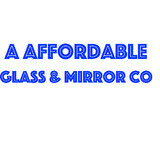 We also specialize in auto glass repairs as well as a full line of car and truck accessories. If sunrooms or solariums interest you, we would be happy to come out on one of our free estimates to show you the many options available. We also carry a full line of awnings. 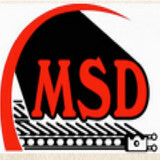 auto-commercial-residential Auto: Auto, Trucks, Semis, Boats, Heavy Equipment & RVs Commercial: Replacement Windows, Custom Shower Enclosures, Mirror, Sunrooms, Screen Porches Residential: New Construction Windows, Store Fronts, Custom Glass Entries, Rollup Shutters - Click here to view photos. Emergency Board Up Insurance Work Direct Billing Whether you're building the home of your dreams or looking to replace the existing windows in your home, now we have several styles and colors to choose from. We are located at 4120 Lapeer Rd. on the corner of Lapeer and Beech (between Michigan & Range on Lapeer Rd.) 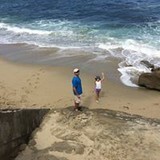 The same corner where we've been for years. If you're in the area and are looking for shower doors or tub enclosures, stop by and we'll be happy to send one of our techs to you for a free measurement. Zuliani Glass Centre – Windsor’s Trusted Glass & Mirror Retailer Specializing in mirrored walls, mirrors cut to size, and glass shower enclosures, Zuliani Glass Centre is Windsor’s first choice when it comes to glass and mirrors. Imagine a pristine glass shower enclosure in your newly renovated bathroom or a beautifully clear glass tabletop to complete the look of your redecorated dining room. Prompt and professional, Zuliani focuses on glass work for residential properties, but handles small commercial and industrial projects too. With over half a century in the business, you can trust an installation done right the first time. Zuliani Glass Centre is built on a strong reputation. Locally owned and operated, we have been in business for over 50 years now and continue to offer our customers the same quick service and installation for which we’re famous. Most of our employees have at least 12 to 35 years of experience in the industry. With 5 service trucks at our disposal, you can expect fast installations and quick answers to your glass emergencies. Serving Windsor for over 50 years, Guardian Glass Limited offers glass & mirror services for residential, commercial and industrial clients. We install and repair glass and mirrors for almost any application, including custom shower and bath enclosures, mirrored closet doors and more. We also repair storefront windows and offer a full line of industrial plastics cut to size. Glass is one of the most useful materials to use in a home, but it takes a skilled glass company in Detroit, MI to correctly handle it. You use it all around the house, whether you realize it or not — windows, doors, showers, mirrors and more. While glass can be a very sturdy material, it’s also prone to break if not properly maintained. Make sure you hire professional Detroit glass companies to install or repair your products safely so you can live comfortably. What can a local Detroit glass company help me with? If it’s a major home glass repair or replacement, the Detroit glass company should work directly with your insurance company to help bring down costs for you, if applicable. Find Detroit glass companies on Houzz. Narrow your search in the Professionals section of the website to local glass, mirror and shower door services in Detroit, MI and read reviews and ratings to find one that fits your needs.